I find most store sweetened yogurts to be way to sweet for me. I tend to like the tartness of plain yogurt and get my sweet from fresh fruit, or for a quick fix, local honey or even a little organic jelly (homemade if I have any left). I’m sensitive to cow’s milk, but have found that I can tolerate sheep milk and goat milk yogurts. They are a little more expensive, but OH so good if you cant have regular yogurt and find yourself craving that creamy dairy goodness that only a dairy based yogurt can provide. It’s often a dessert for me and it doesn’t take much to get my “fix”. Another reason I was looking for a good way to control the sugar of my yogurt is my toddler. He doesn’t mind his yogurt a little tart as well. His favorite is some Greek yogurt with a little local honey mixed in. I even found some fun reusable pouches that I can put it in to help control the mess a bit! Play around with your own sweetness level and toppings. Add some nuts or granola, some hemp seeds, shredded coconut, or chia seeds. 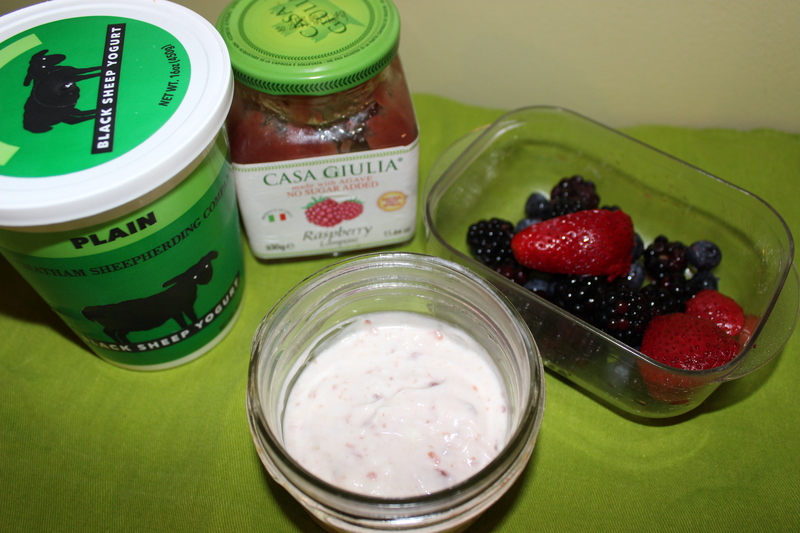 Please share your favorite yogurt toppings in my comments section! 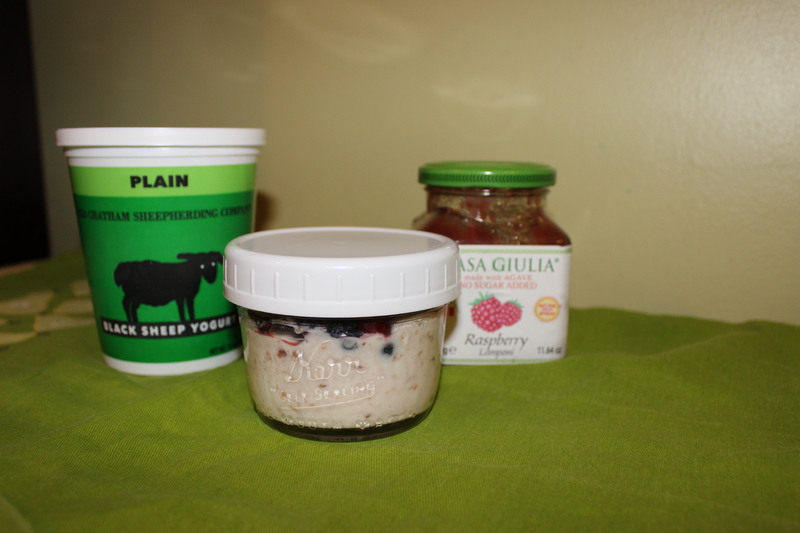 Add 1 cup of plain yogurt to a bowl or to-go container. I love 16oz wide mouth mason jars. Stir in 2 teaspoons of your favorite jelly. Add fresh fruit on top. Add additional toppings as desired.